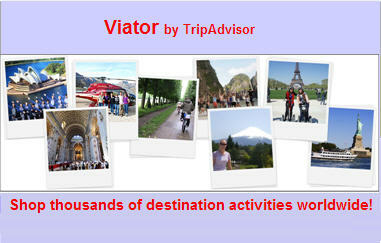 → Shop thousands of destination activities worldwide! 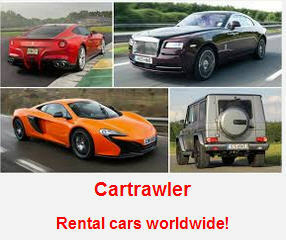 → Offering rental cars worldwide that are fast and easy to book with great rates! SimSolTravel provides travel related consulting services. Our main focus is applying our extensive experience from other professions to providing targeted travel information and travel consulting services. We also have competitive online booking services for self-service oriented clients. The result is a unique perspective on travel that goes beyond self-service travel booking sites or "full-service" travel agents. Read our views on the Future of Travel or jump to SimSolTravel Services to see what we offer. The staff at SimSolTravel will happily answer your questions about travel. We can help you plan a trip to a single destination like San Francisco or to tour a country like Germany. We can talk about the advantages and disadvantages of using your timeshare or booking a hotel or reserving an individually owned apartment. We use our frequent flyer miles for most of our major trips and we can share our tips and tricks with you. We can give you ideas about starting the trip with a relaxing journey on a train or cruise ship instead of the traditional stressful airport "mad dash to get there" experience. Thinking about a road trip in the car, and you enjoy craft beer? We can help you plan it to pass by some interesting breweries as well as see the sights. Just give us a call or send us an email. If your questions are more involved we'll let you know and schedule an extended question and answer session. The Q&A option: if you would like to schedule an extended question and answer session. We schedule in one-hour increments but we're flexible. The Trip Planning option: if you would like us to help you with the actual planning of your trip, such as booking flights and hotels. We'll tell you how many hours it will take at the start and stick with it. The Trip Planning service includes a custom itinrary of all bookings, including self-bookings if you provide the information. A SimSolTravel TravelDetailerTM can also be produced for your trip. Please call or email us to discuss how much time will be required for your trip planning. The Trip Payment: if you would like us to to make all of the payments instead of doing them yourself. When we have completed a Trip Plan we will send you an invoice and itinrary and, after you approve it, you use this option and enter the dollar amount of the invoice. Why do we charge a fee? We believe that it is important to provide quality travel advice. That means travel advice that fits the clients' needs, not just what generates a commission. See our views on the Future of Travel for more details. Sign up for the weekly email newsletter to get information and vacation ideas for something new. Don't let the travel to a destination be something to endure. Make it part of the vacation experience with a SimSolTravel Custom Vacation Experience. Talk to us about one of our SimSolTravel Excursions and see how getting there can be half of the fun! We also have shorter SimSolTravel Getaways for those with limited time or who just want to try it out. Have you ever thought about learning another language? Get started with a SimSolTravel LanguTour Language Vacation. Beginning language lessons are provided while traveling to an exotic destination where the language can be used in real life. This classroom/immersion approach provides better retention and is a lot more fun! Planning a family reunion or looking for something for your club to do together? A group cruise is the perfect thing because it allows everyone to interact when they want and enjoy other activities when the group gets too intense. By booking a cruise as a group you can enjoy many special events and amenities on board (depending on the group size). Let SimSolTravel help you organize a cruise that fits with your family's or organization's interests. Visit our Travel Information site for pictures and information about areas where we specialize, places we have visited and hotels we have enjoyed. We also have behind-the-scenes pictures of many of the interesting breweries and tap-houses that we have visited. Be sure to look at our SimSolTravel Virtual Tours!